Nobody likes inhaling hot smoke that burns the throat and lungs. Too often, this is the experience you get when smoking mass-produced cigarettes. Upgrade your smoking experience to the next level with the Icky Stick Smooth Smoking Pipe. Fitting comfortably in your pocket, this smoking pipe features a state-of-the-art cooling system to provide you with the perfect smoking experience anywhere, anytime! 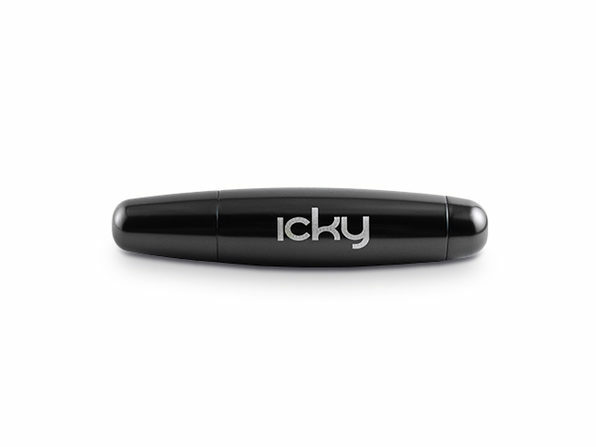 The Icky Stick Smooth Smoking Pipe is no ordinary smoking device. It’s not one of the hippie vaporizers taking over the market, and it’s far superior to any standard pack of cigarettes. What makes Icky Stick so special is the 32 cm maze pathway built into the pipe that is designed to properly cool and filter your smoke. As the smoke travels up and down the maze, toxic irritants in the smoke will be extracted out. By the time the smoke hits your mouth, it’ll have the perfect temperature and taste so you can truly savor the experience. Constructed out of a anodized aluminum, the Icky Stick Smooth Smoking Pipe is resistant to corrosion and water. This material also makes it extremely lightweight and portable for smoking on-the-go. Get your very own Icky Stick Smooth Smoking Pipe today for just $49.99. That’s 16% off the original price!